I had some small balls of blue and green in my stash. I just winged the colours as I went along. I found the perfect buttons in a charity shop for 75 pence. Really happy how it turned out. Darling! 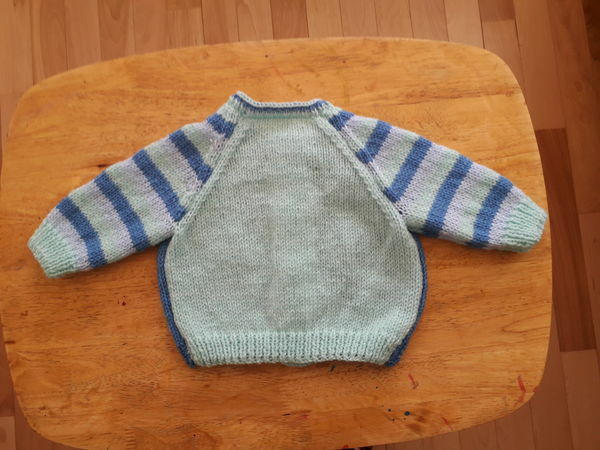 Some little one will love this--great job of knitting. I love the way it turned out. The buttons look perfect on it. WOW ! will try it for my new GREAT granddaughter, 10 days old ! This sweater is so beautiful--and what a great way to make good use of "left-over" yarn!! And the buttons...not only are they perfect and so cute--but. what a terrific buy! Great job--I love to mix/match colors, too!! The colours worked out well, and it is a lovely little cardigan. 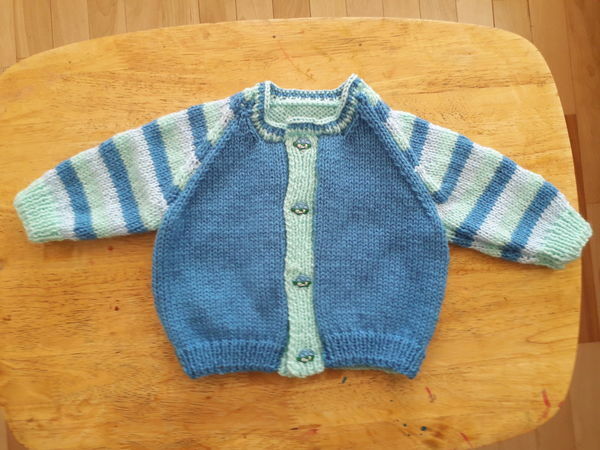 Very cute little cardigan. The buttons are perfect! 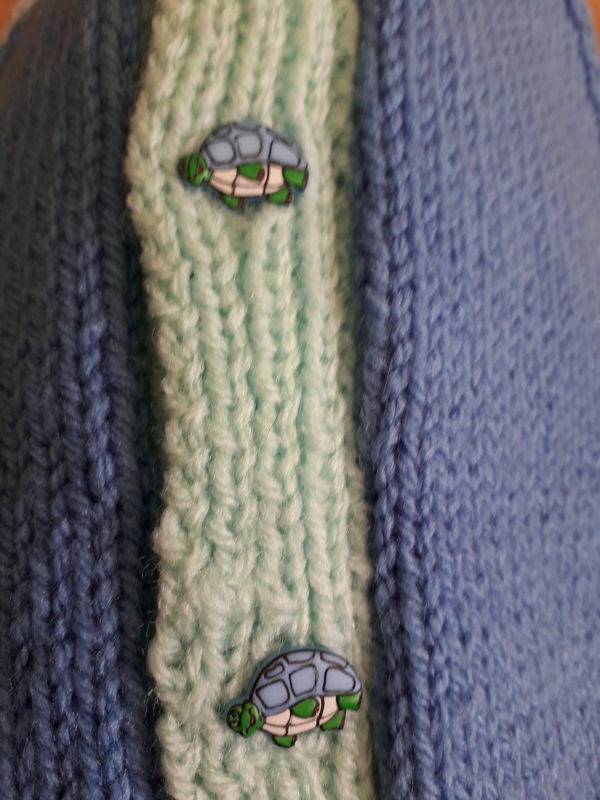 Very cute sweater and the buttons are perfect for it.